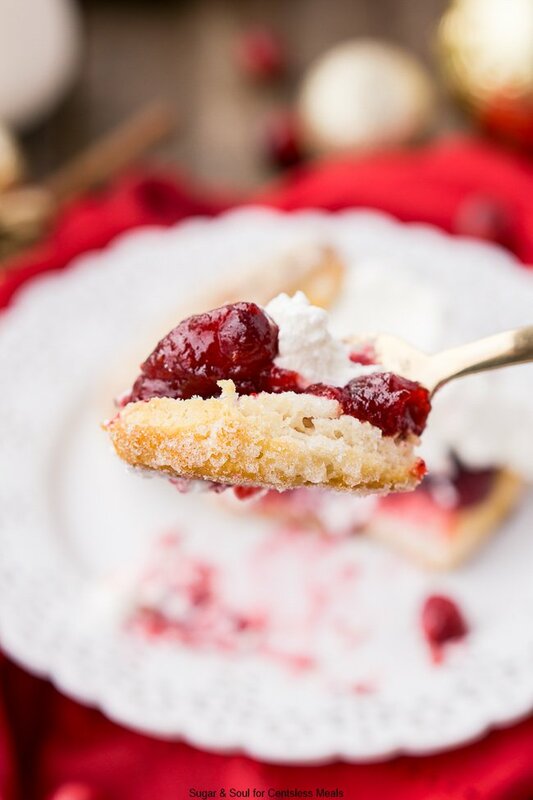 This Cranberry Shortcake adds a fun holiday twist to the classic summer dessert! While strawberry shortcake is a beloved summertime staple featuring the season’s sweetest berries. But when the temperature dips and snowflakes begin to fall there’s another tart, red berry that tastes scrumptious over oven-warmed biscuits: cranberries! 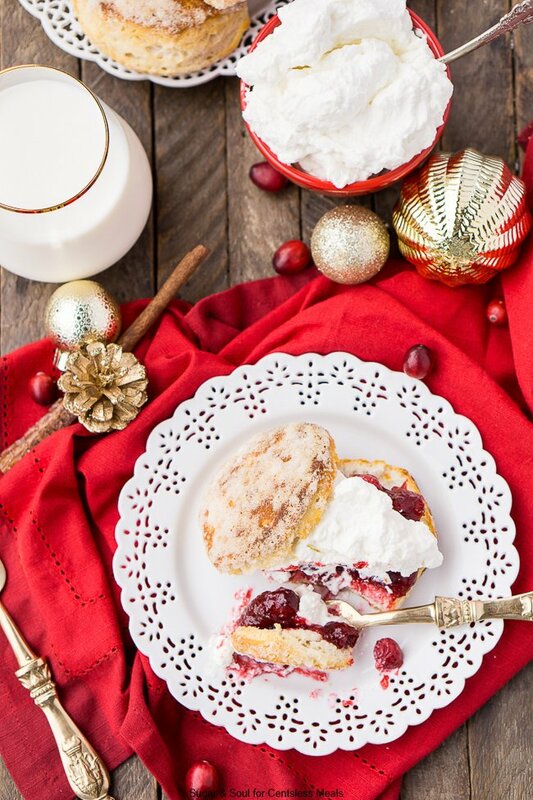 This holiday season try serving up a cozy batch of Cranberry Shortcake to share with family and guests. Everyone should have at least one go-to cranberry recipe for the holidays, and this festive take on an old classic is a great contender. It’s super simple to make and serve, and almost everyone who loves the strawberry version loves Cranberry Shortcake, too! 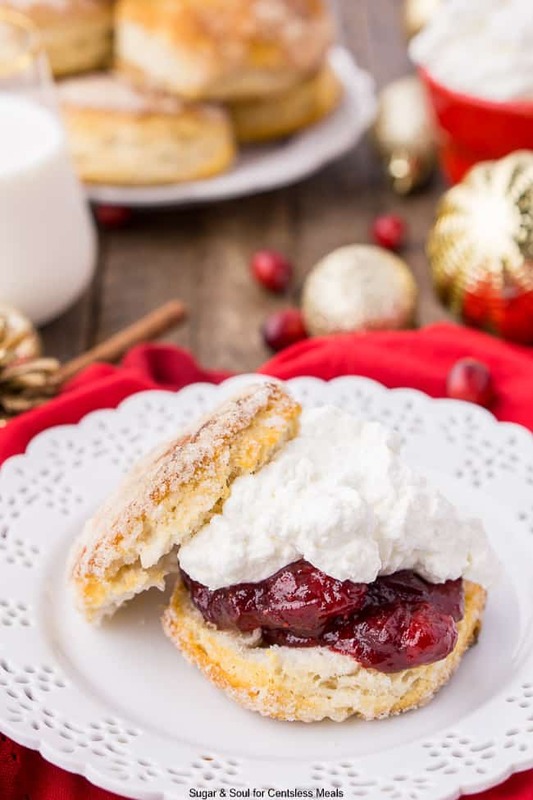 This delectable dessert is made with juicy, sweet-tart cranberries, flaky buttermilk biscuits, and topped with a dollop of whipped cream. Even better, the prep for this dish is as easy as it is delicious! 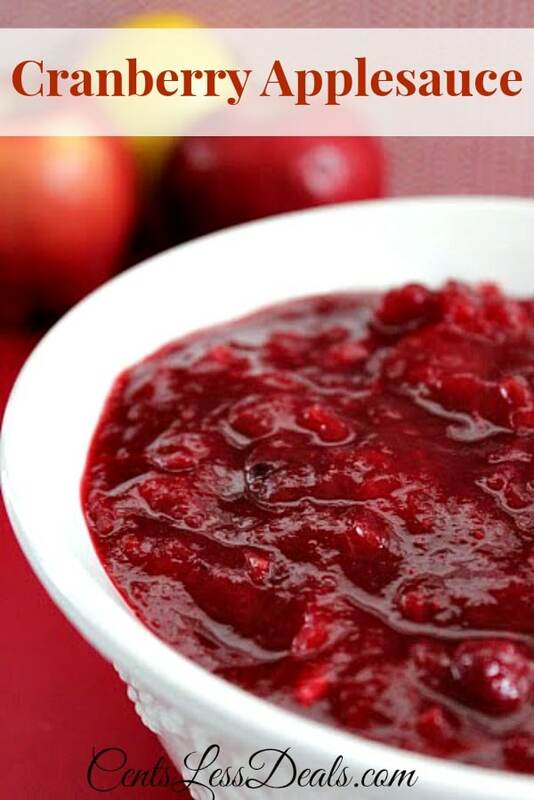 To make the saucy star component, simply boil the cranberries with juice, sugar, vanilla, and cinnamon until soft then simmer until berries burst and the sauce thickens. If you really want to spice things up, swap out this simple cranberry concoction for my boozy cranberry sauce recipe! The biscuits can be store-bought or homemade, but my favorite option is something in between: I buy the canned dough, dip each disc in butter and sugar, then bake them. 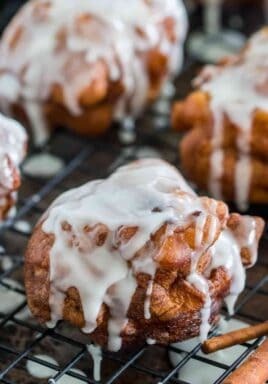 The result is a sugar-crusted batch of biscuits that can be served fresh from the oven. Last, each piece of Cranberry Shortcake is topped with whipped cream, and in my opinion, it has to be homemade. I like adding vanilla bean paste to mine, and the mellow sweetness perfectly balances the tartness of the cranberries. This “build-it-yourself” dessert is fun to serve buffet-style. 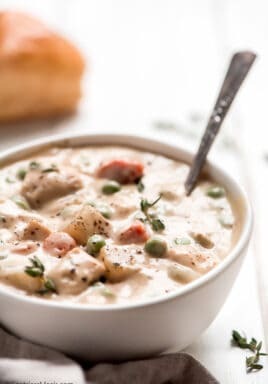 Pile the steaming biscuits on a plate, pour the cranberry concoction into a bowl with a ladle, and present a mound of whipped cream with a serving spoon. Guests can assemble their dessert to their liking, and everyone from kids to great-grandparents will have a blast putting together their shortcake before savoring their sweet treat. 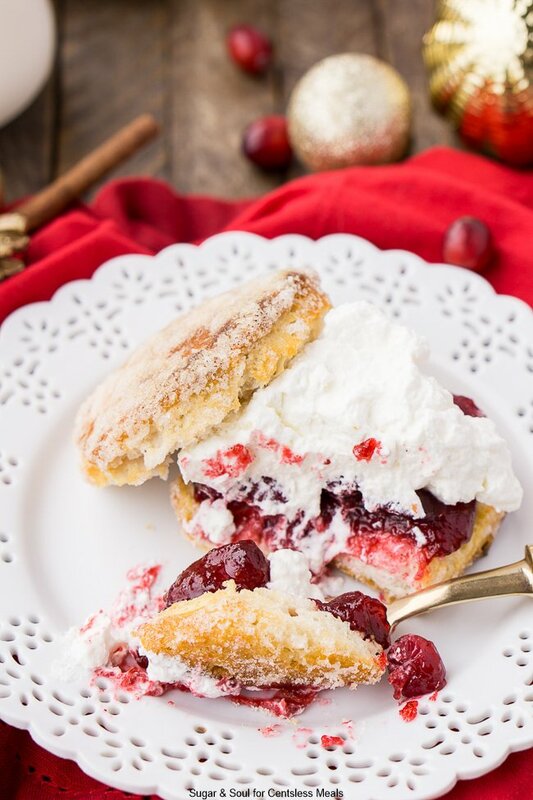 Cranberry Shortcake is made with juicy, sweet-tart cranberries, flaky buttermilk biscuits, and topped with a dollop of whipped cream. Even better, the prep for this dish is as easy as it is delicious! Preheat oven according to package instructions and line a baking sheet with parchment paper. Dip each biscuit into the melted butter and then into the sugar to coat evenly on all sides. Place 2 to 3 inches apart on the baking sheet and bake according to package directions. Usually, there are two baking options, I like the use the one that yields bigger biscuits, which usually means a slightly longer baking time. While biscuits are baking, combine all ingredients in a saucepan and cook over medium-high heat and bring to a boil. Reduce to a simmer for 15 minutes stirring occasionally, berries should start to burst. Add all ingredients to a large bowl or stand mixer fitted with a whisk attachment and whip until soft peaks form. 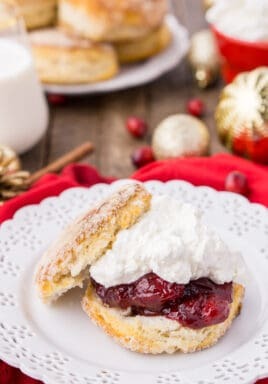 Slice biscuit in half and top with whipped cream and cranberry sauce. 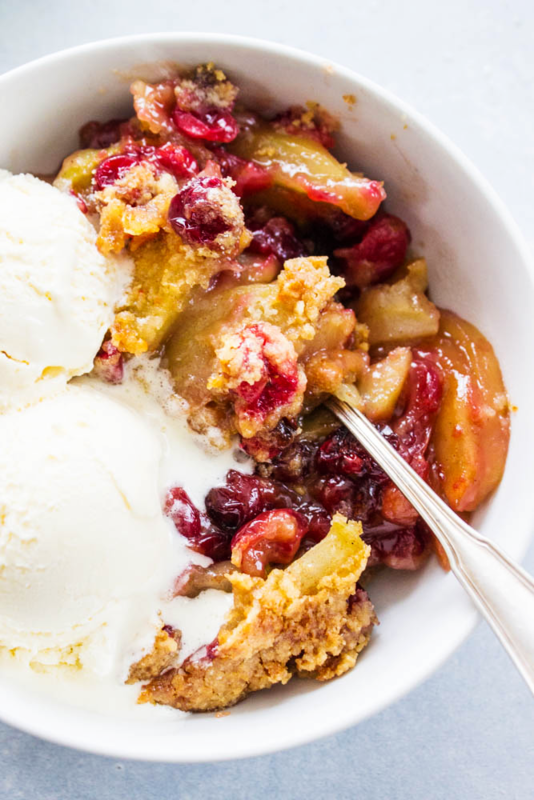 Cranberry Shortcake puts a cozy winter twist on a summertime classic. 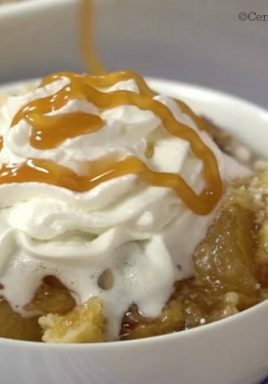 You and your guests will love how the flavors of the season meet a dose of nostalgia in this decadent dessert!